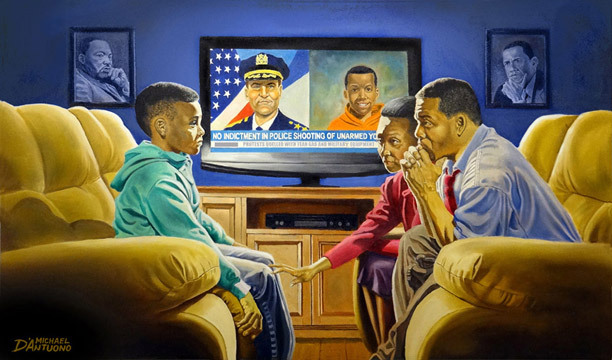 D’Antuono completed his painting “The Talk,” seen below, so it would be available for public viewing in time for Martin Luther King Day. The controversial painter has had to cancel art shows and once decided to remove one of his paintings, “The Truth,” from New York’s Union Square Park after some people found its religious images offensive. 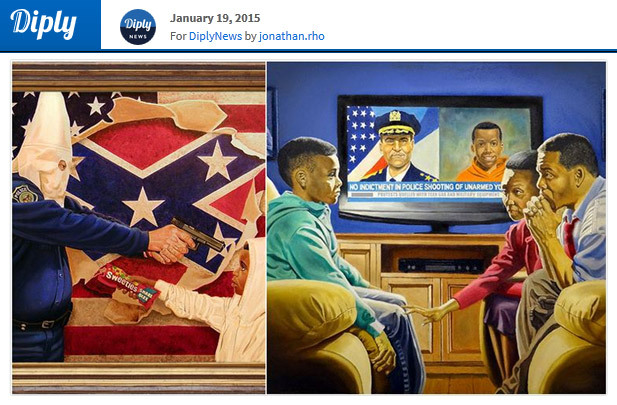 Many of D-Antuono’s paintings are also critical of the media and American government. Last year, the killings of unarmed black Americans like Michael Brown, John Crawford III, Eric Garner and 12-year-old Tamir Rice attracted major media attention. This sparked a nationwide conversation about seemingly-racially related police violence. 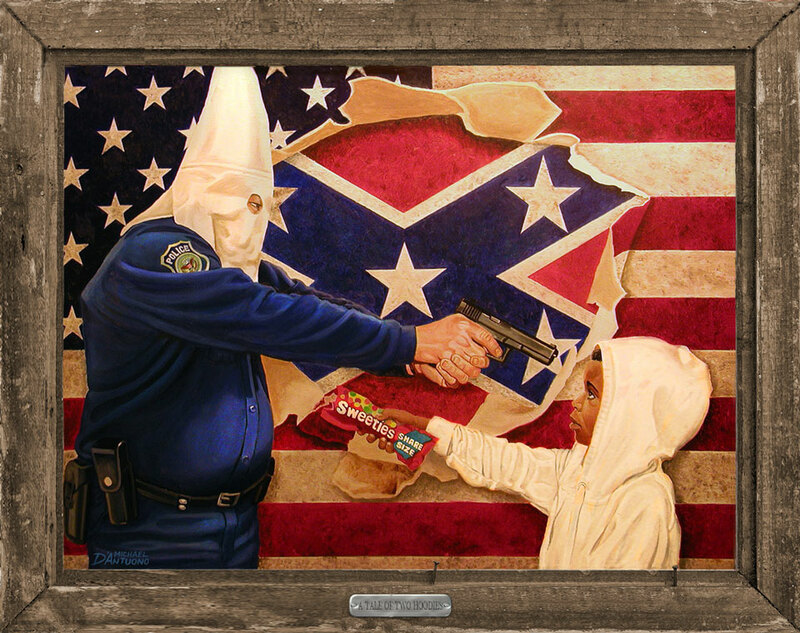 “A Tale of Two Hoodies,” seen below, was painted by D’Antuono in response to the killing of 17-year-old Trayvon Martin by George Zimmerman. Zimmerman was acquitted of murder. Michael D’Antuono is a popular white artist. According to his website, everyone from Arnold Schwarzenegger to Pete Seeger has collected his work.